On Wednesday, August 12th, our comrade in the struggle for revolution, Hugo “Yogi Bear” Pinell was murdered. The context for his murder remains unclear, save for the fact that it happened in the midst of a prison riot. We have no faith that the state will do anything to determine how or why Yogi Bear was murdered and presume cops and corrections officers are relishing his death. We do not doubt the possibility that he was specifically targeted and those in authority did nothing to protect him. In the early 1970s, while imprisoned in San Quentin State Prison, Hugo Pinell made contact with revolutionary prisoners such as George Jackson, one of the Soledad Brothers, and W.L. Nolen. On August 21, 1971, there was a prisoner uprising in Pinell’s housing unit at San Quentin, led by George Jackson. At the end of the roughly 30 minute rebellion, guards had killed George Jackson, and two other prisoners and three guards were dead. Of the remaining prisoners in the unit, six of them, including Pinell, were put on trial for murder and conspiracy. Together, they were known as The San Quentin Six. Three of them were acquitted of all charges, and three were found guilty of various charges. Pinell was convicted of assault on a guard. Activists in prison to this day continue to mark the San Quentin prison rebellion and death of Black Liberation prisoners during Black August, often with fasting. Although Pinell was convicted of assault, and another of the San Quentin Six had a murder conviction, only Pinell remained imprisoned at the time of his death. 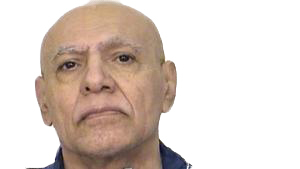 During his astounding 50 years of imprisonment, Pinell was primarily held in solitary confinement. Though not as active in his political organizing as in his youth, Pinell was part of the historic hunger strikes that spread throughout the California prison system in 2013 to protest the treatment of prisoners held in solitary confinement. According to his attorney, shortly before the August 12th, 2015 riot, Hugo Pinell was transferred to general population, though the threat of harm and history of threats against him were known to prison officials. In this month of Black August, we raise a fist for Yogi Bear and all prison rebels—you will have neither lived nor died in vain. Illustrated Guide Version 10.5 Now Uploaded! BK/NY – Sunday, September 6th – Running Down the Walls 2015!